Turkeys, cranberries, pilgrims and more are Thanksgiving decor favorites. 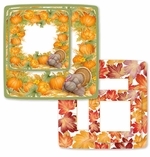 Gathering Thanksgiving table decor can be as much fun as getting all the food together. Dress your turkey and then dress your table with Thanksgiving decor. 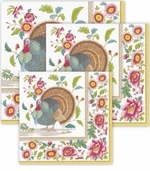 We've got Thanksgiving place cards, Thanksgiving placemats, Thanksgiving table runners and more turkey decorations that add fun to the holiday. With all your family and friends assembling for Thanksgiving dinner, it�s worth putting your all into Thanksgiving decor. 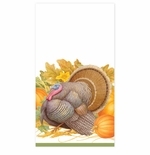 Thanksgiving Decor Ideas Turkey decorations are our most popular Thanksgiving decorations by far. You can get turkeys preening, turkeys looking regal, turkeys looking cute, you name it. 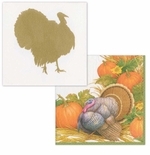 Pick the turkey decorations that match the mood of your Thanksgiving decor overall. 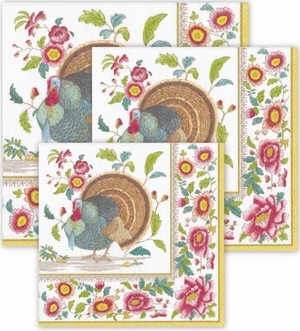 Thanksgiving place cards are a must for a big family Thanksgiving dinner. You may not want to use Thanksgiving paper plates and napkins for your Thanksgiving dinner but they are great for pumpkin pie and leftovers if nothing else. And don't forget Thanksgiving hand towels for the bathroom. Thanksgiving decor and party supplies come in many forms with many uses for all around your home. 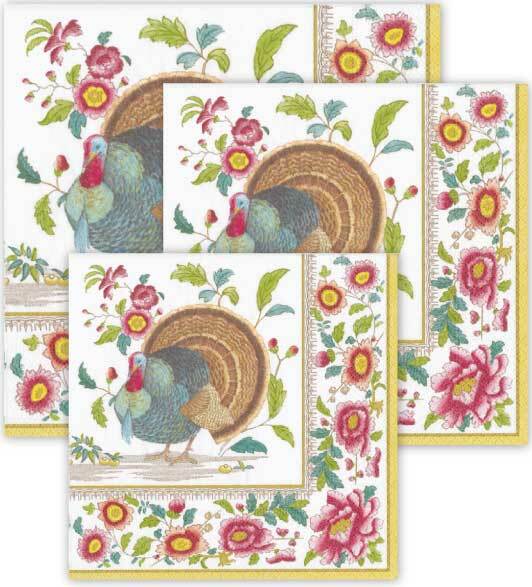 And if you are a guest, bringing some paper Thanksgiving table deoor as a hostess gift is always appreciated. 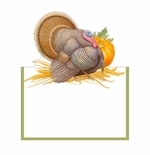 Why not decorate your Thanksgiving dinner table and your home with Turkey decorations! Let Thanksgiving decor run wild. Its good practice for Christmas decorations. Thanksgiving dinner comes every year. It's probably America's most American holiday along with Fourth of July. So don't be afraid to stock up on Thanksgiving decor. You can always use it for Thanksgiving decorations the next year. But you probably won't have extra Thanksgiving decor, there are always left overs and snacks to be had the whole weekend after Thanksgiving dinner and paper plates and napkins are perfect for that!